In this sequel to the acclaimed The World at Night, reluctant spy Jean Casson returns in another haunting and atmospheric thriller set in the shadows of occupied Paris. In this sequel to the acclaimed The World at Night, reluctant spy Jean Casson returns in another haunting and atmospheric thriller set in the shadows of occupied Paris. 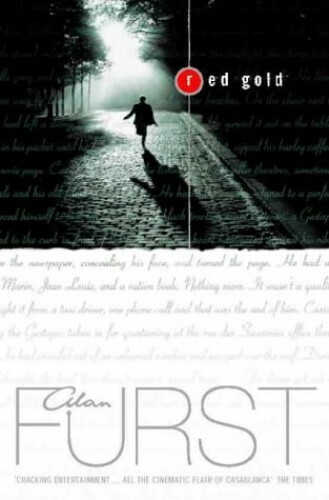 In The World at Night, Alan Furst introduced film producer Jean Casson, who is forced by the German occupation of Paris to abandon his civilised lifestyle and falls into the world of espionage and double agents -- until he is forced to flee the country. In Red Gold, Jean Casson returns to Paris under a new identity. As a fugitive from the Gestapo, he must somehow struggle to survive in the shadows and backstreets. He is determined to stay clear of trouble, yet, as the war drags on, Casson begins, inevitably, to drift back into the dangerous world of resistance and sabotage.